Find a suitable graphics card right for your Windows OS! You must be upset to see this error message when playing games like PUBG or Stardew Valley: No suitable graphics card found. Unable to create the graphics device. Don’t worry. 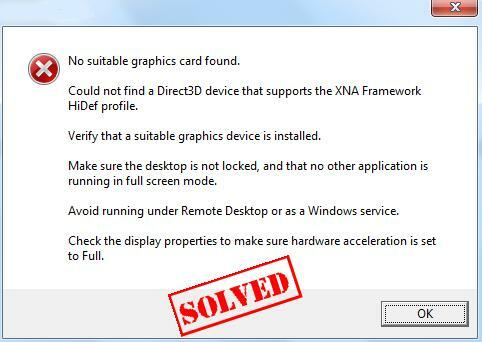 This is one of the common errors and you can fix the No suitable graphics card found error easily! How do I fix no suitable graphics card found issue? Here are solutions for you to solve no suitable graphics card found very easily and quickly. You don’t need to try them all; just work your way down until your problem is solved. A Graphics card is referred to video card, video adapter, and display adapter as well. It connects to the motherboard of a computer system and generates output images to display. If you want to watch movies or play games on your computer, a dedicated graphics card can greatly improve the quality of the graphics. No Suitable Graphics Card Found error occurs usually because the developer changes the settings of the game, or your graphics card adapter is not suitable for the display anymore. So you can follow the solutions below to solve the issue. Restarting your PC helps your PC to check through the system and automatically update your Windows, then the problem may be automatically resolved. 2) After restarting, open the game again and see if the problem is resolved. If the problem persists, please try the following solutions until you find the way that works. Note: All the screen shots below are shown on Windows 10, but the fixes also apply to Windows 7 & 8. This problem may occur due to the missing or outdated drivers of your graphics card. So updating the drivers can probably fix this problem. There are two ways you can update your graphics card driver: manually and automatically. Manual driver update – You’ll need some computer skills and patience to update your drivers this way, because you need to find exactly the right the driver online, download it and install it step by step. 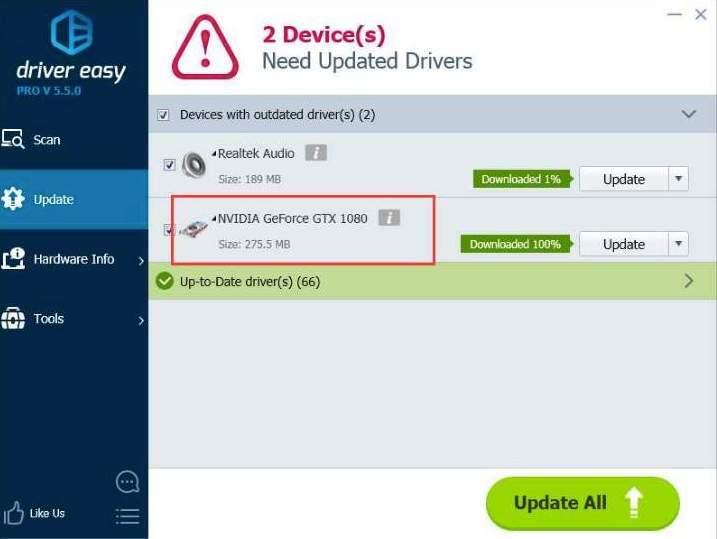 Automatic driver update – If you don’t have the time, patience or computer skills to update the graphics card driver manually, you can do it automatically with Driver Easy. 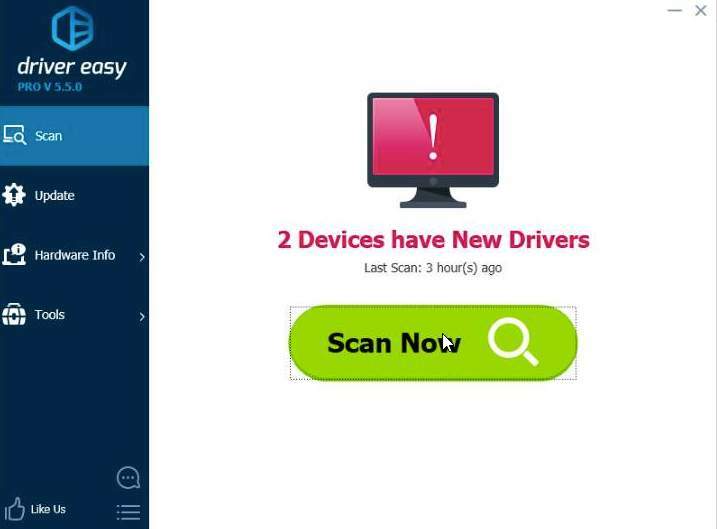 With Driver Easy, neither you have to search and find what drivers needed in your PC, nor to update drivers step by step. It can considerably help with almost all the issues related to drivers. 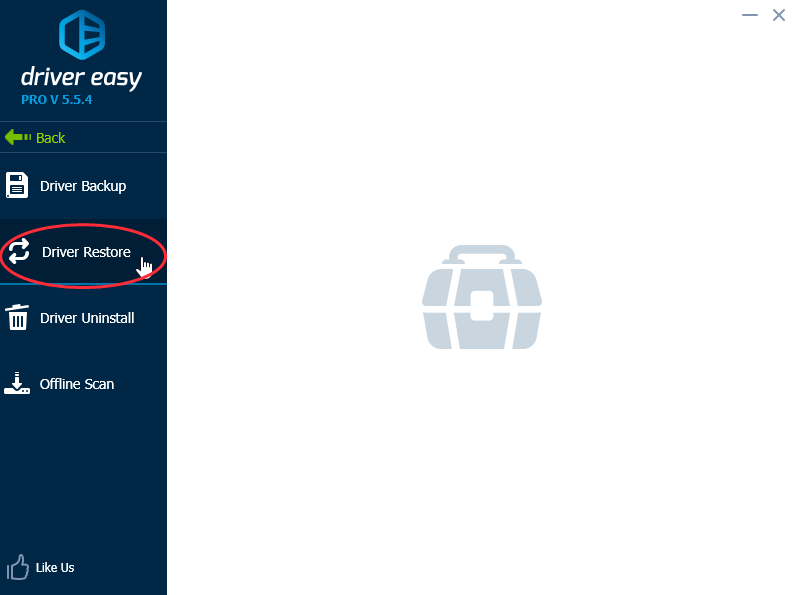 Furthermore, you can update your drivers automatically with either the FREE or Pro version of Driver Easy. It only takes 2 simple clicks with the Pro version (and you will get full support and a 30-day money back guarantee). 3) Click Update button next to the driver name to download the correct driver (you can do that with the FREE version). 4) After updating driver, restart your PC, and open your game to see if it works. Note: You can also try to restore drivers to previous status to solve the problem. First of all, you need to backup drivers in your PC (Pro version required), and then click Driver Restore in Tools section. 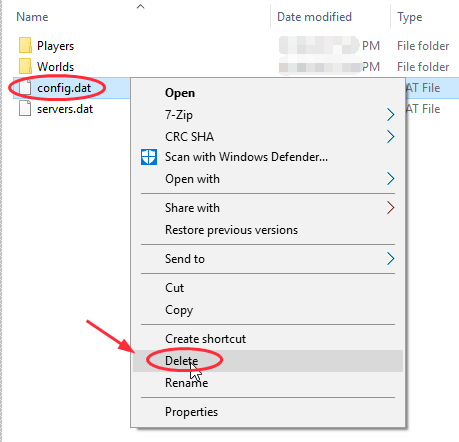 The Config.dat file is created by the game manufacturer that primarily stores settings that are chosen via the game’s settings menu. 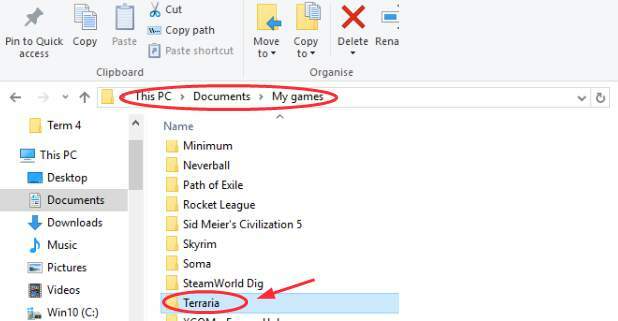 Generally speaking, the Config.dat file resides here: Documents\My Games\the name of your game (like Terraria). 1) Go to Documents > My Games. 4) Restart your PC and open your game again. That’s it – three effective ways to fix No suitable graphics card found issue in your computer. Please feel free to leave us a comment below and we will see what more we can do to help. At the same time, if you have another solution for this problem, please don’t hesitate to share with us to help more people.